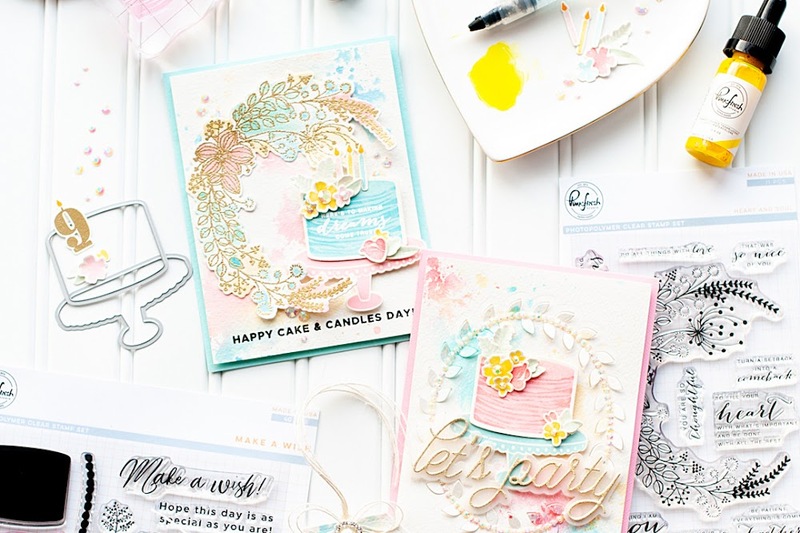 There are so many great new stamps & dies being released this month, so be sure to check out all the links above & check everything out! I would love to hear your favorites so far! All new stamps & dies will be available for purchased tomorrow night. Another fun addition to the Winnie & Walter store will be the Catherine Pooler inks. 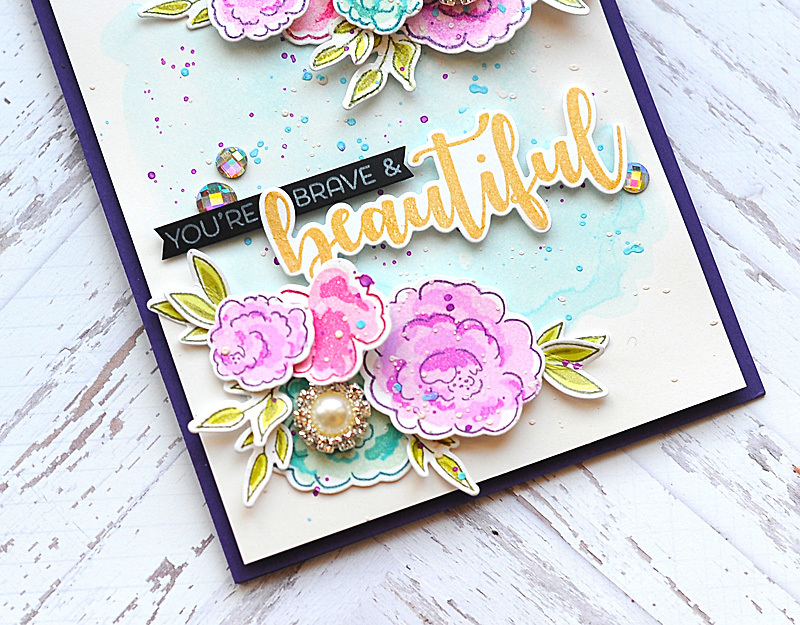 I used them for the flowers & leaves on my card today, and let me tell you - these inks are AMAZING! They will not be linked below as they are not in the Winnie & Walter shop yet, but I will be sure to link in the future once they are. 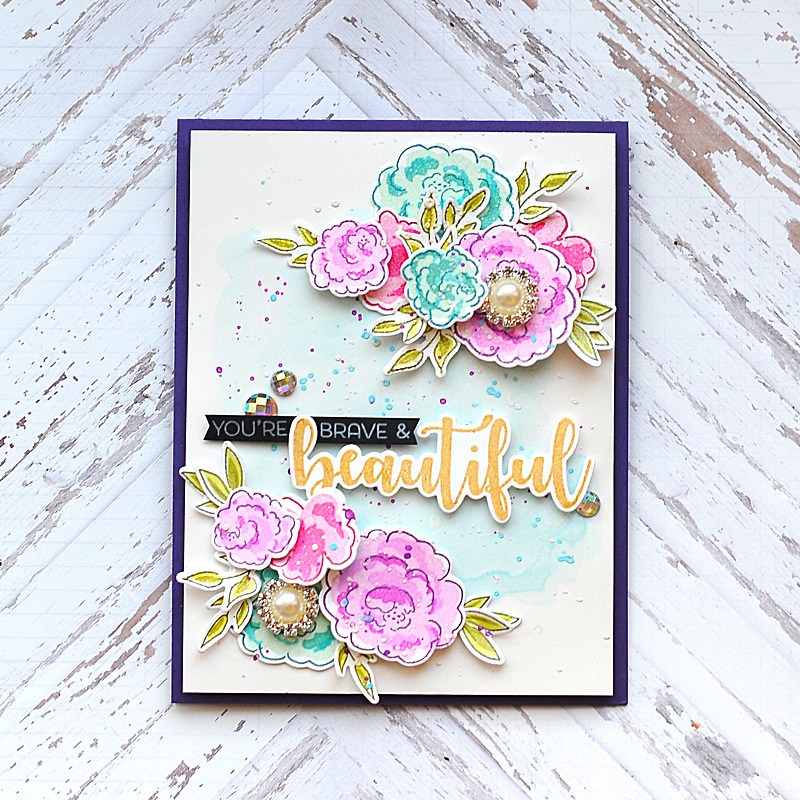 For my card today, I am featuring the latest set from the In Bloom series, called In Bloom: Ashlee's Rosie Posies with Lydia Evans! 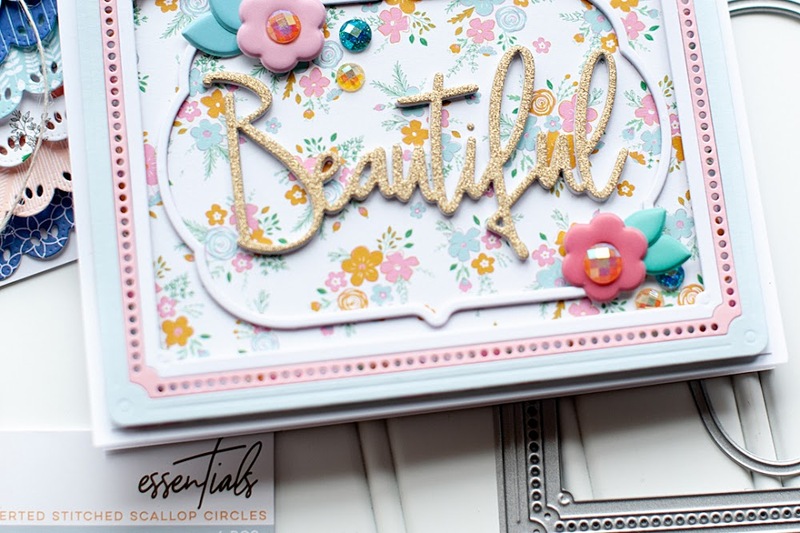 This is a floral building stamp set, and it was SO fun to create with! Here is some info on how I created this card. First I cut & folded an A2 card from Bazzill Jelly Bean cardstock, then set aside. I trimmed a block of Strathmore Bristol paper, then painted a light blue watercolor background using Tumbled Glass distress ink. I put this aside to dry naturally. Next I started working on the flowers. I stamped each flower twice in the purples & blues, and 3 times in the pink. Then I stamped the leaves 4-5 times each. Once all the stamping was done, I cut them out using the matching dies. The stamping & diecutting is a little bit time consuming, but well worth the result! I chose to group the flowers together before adhering them to the card using glue dots & foam dots. I started with the flowers, and then tucked leaves here & there. 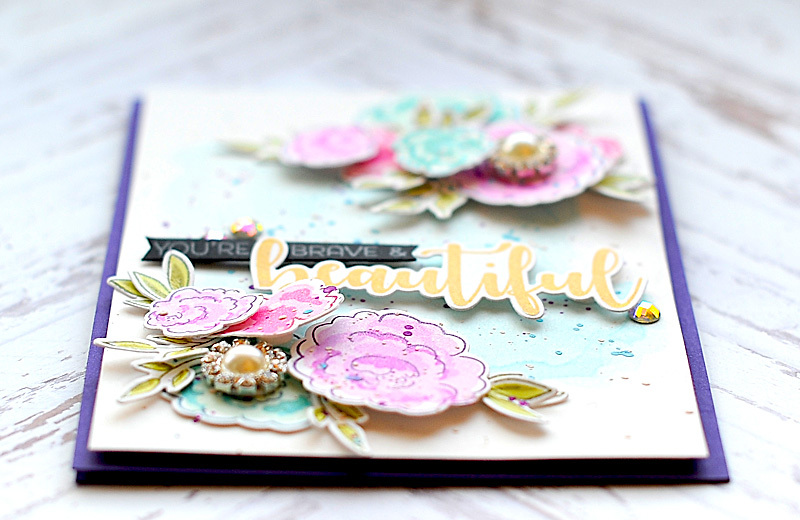 I created two flower clusters for my card front out of all the stamped flowers & leaves. The final step was stamping & diecutting the sentiment. 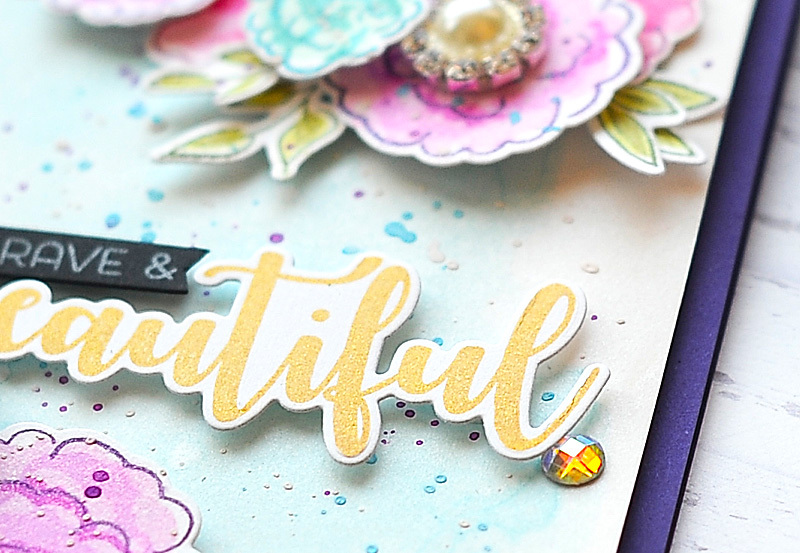 I stamped the word beautiful in Golden Glitz ink, diecut it & adhered to the front using foam dots. Next I stamped the first part of the sentiment to black cardstock, cut it in a thin strip, and added banner edges to it. I tucked this part of the sentiment behind the scripted word, but still popped it with foam dots. 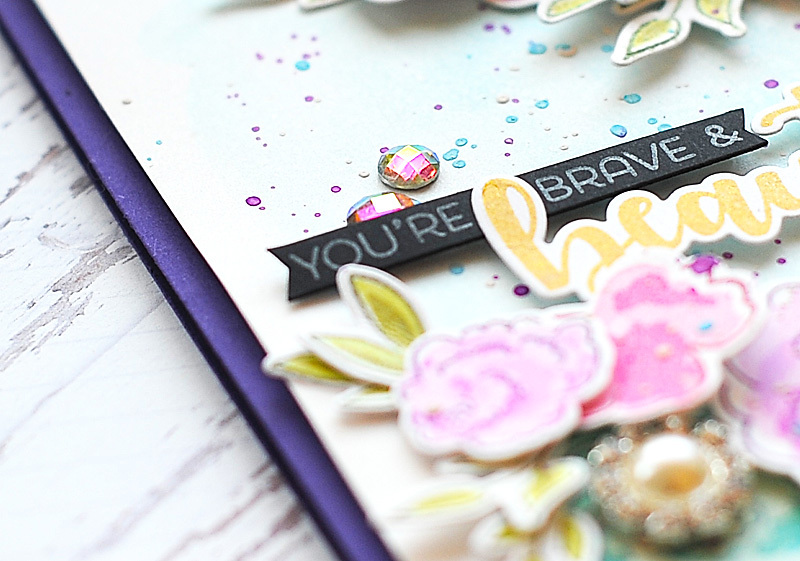 And of course, the very final step is adding my signature jewel embellishments here & there to complete the card! 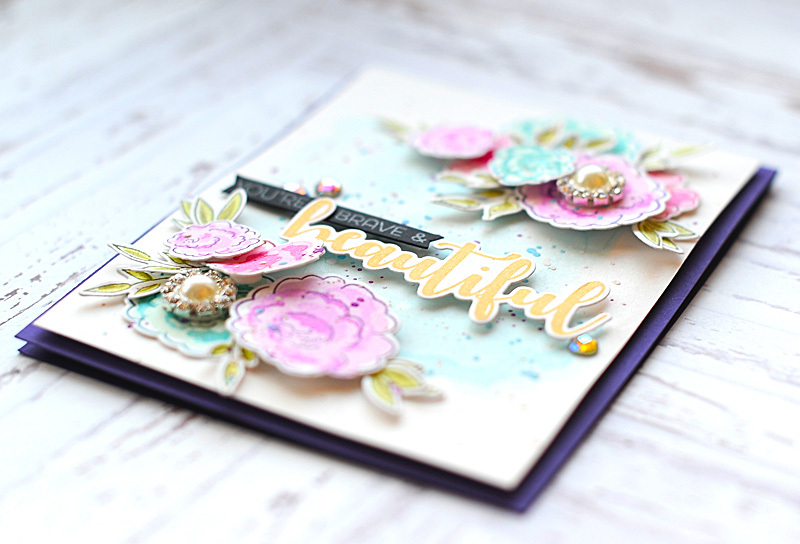 That is my card for today - I will be back again for the final day of the Winnie & Walter release tomorrow, and then we will be having a big blog hop on the 16th! So be sure to mark your calendars! Oh, how pretty! Love the colors and your flowers are stunning. Thanks for joining us at Stamp Ink Paper, hope to see you again soon! 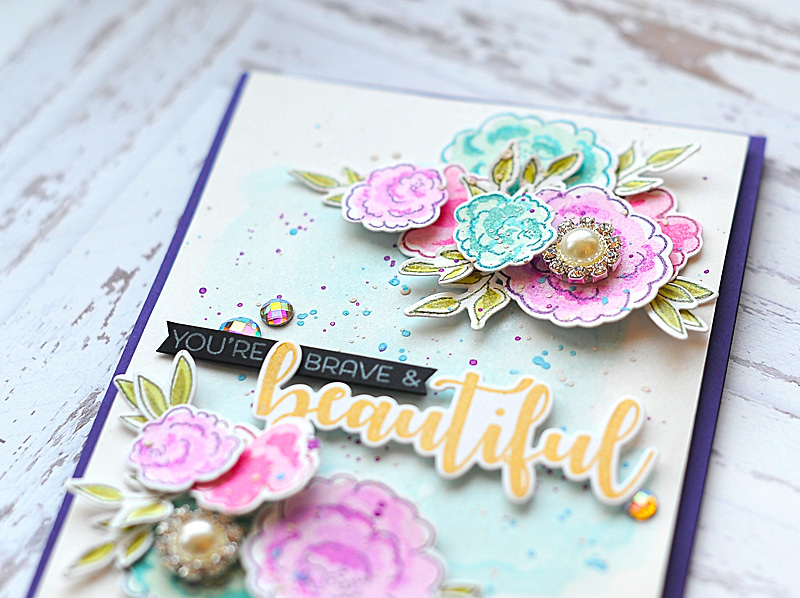 Stunning card, Lea! I love all of your little details. 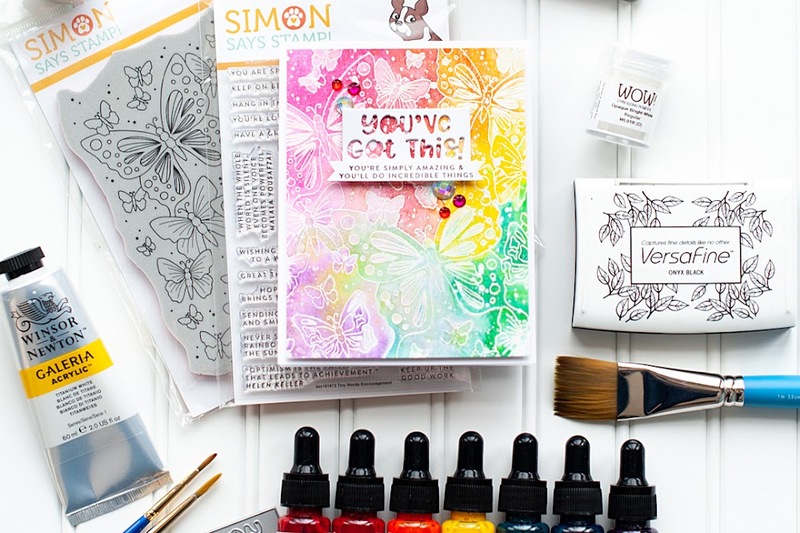 Thanks for joining us at Stamp Ink Paper! 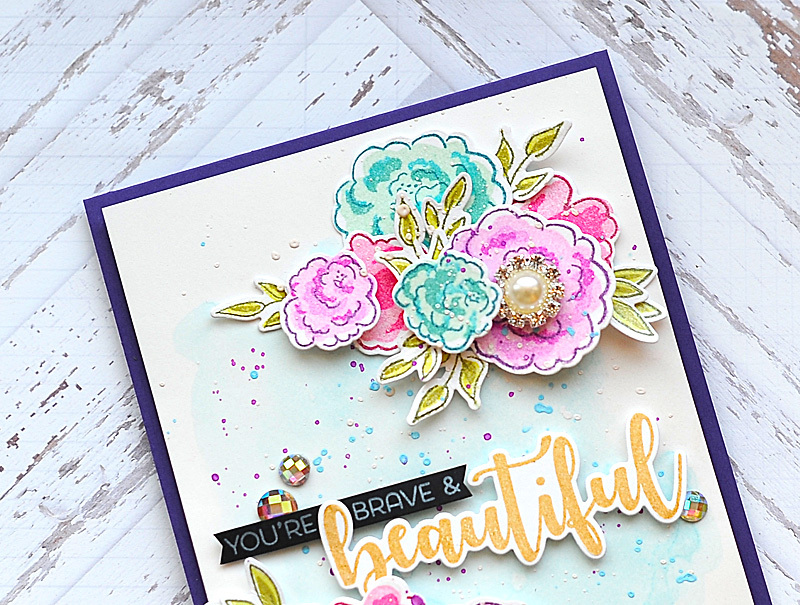 A refreshing breath-of-Spring floral card, Lea, featuring a lovely palette. Layers, dimension, shimmer, droplets, the perfectly selected-and-placed bling...I believe I'm in love!